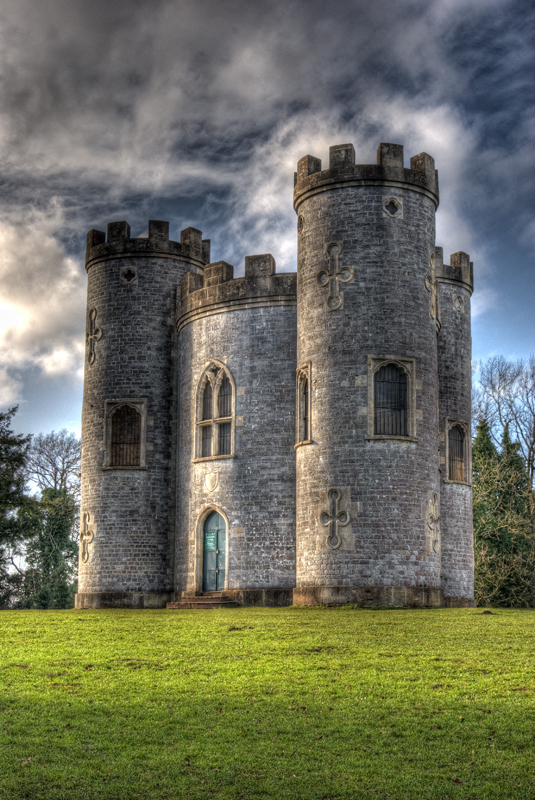 Blaise Castle is an 18th century mansion-house and estate near Henbury in Bristol (formerly in Gloucestershire), England. Blaise Castle was immortalised by being described as “the finest place in England” in Jane Austen‘s novel Northanger Abbey. Flint fragments show Blaise Castle Estate was probably first inhabited by Neolithic farmers. There is more definitive evidence for Bronze Age, Iron Age and Roman activity through the distinctive hill-forts in the area and other archaeological finds. The value of this historic landscape was recognised when it became a Scheduled Ancient Monument in 1982. After the Anglo-Saxon invasion and subsequent conversion to Christianity, the land was granted to the Bishop of Worcester as part of the Kingdom of Mercia. During this time the estate picked up its association with Saint Blaise that lives on in the estate’s name. John Harford, a wealthy Bristol merchant and banker had Blaise Castle House built in 1796–1798, designed by William Paty. It is a grade II listed building. John Nash added a conservatory c. 1805-6, and in 1832-3, C.R. Cockerell designed the Picture Room, now housing a fine display of paintings from Bristol City Museum and Art Gallery. Harford also had Blaise Hamlet built to house his servants and tenants, to designs of Nash and George Repton in 1811. A branch of the Bristol City Museum and Art Gallery since 1949, Blaise Castle House now features collections relating to numerous household items in addition to its period interior decoration. On a hill above the gorge is a sham castle overlooking Bristol, Avonmouth and the Avon Gorge, with views across to South Wales on a clear day. The architect was Robert Mylne and the date of building 1766; it is now believed that the design and the choice of the Gothic castle style may have had political connotations. Although referred to as a folly, it was inhabited well into the 20th century with sumptuous internal decoration. It is a grade II listed building. The castle and its 650 acres (2.6 km2) of parkland are now open to the public (the ‘folly’ opens most Sunday afternoons) and include modern visiting facilities and a car park. The grounds were laid out by Humphry Repton (1752–1818) a leading landscape gardener. Parts of Repton’s designs still exist, notably the impressive carriage drive which winds its way from the house. The Regency architect John Nash was responsible for the addition of the conservatory. The grounds, which are open free of charge to the public, include a gorge cut by the Hazel Brook through Bristol’s limestone. The gorge features a selection of stunning landscape, including Goram’s Chair, a limestone outcrop often used by climbers, and Lover’s Leap and Potter’s Point, two panoramic viewing spots. 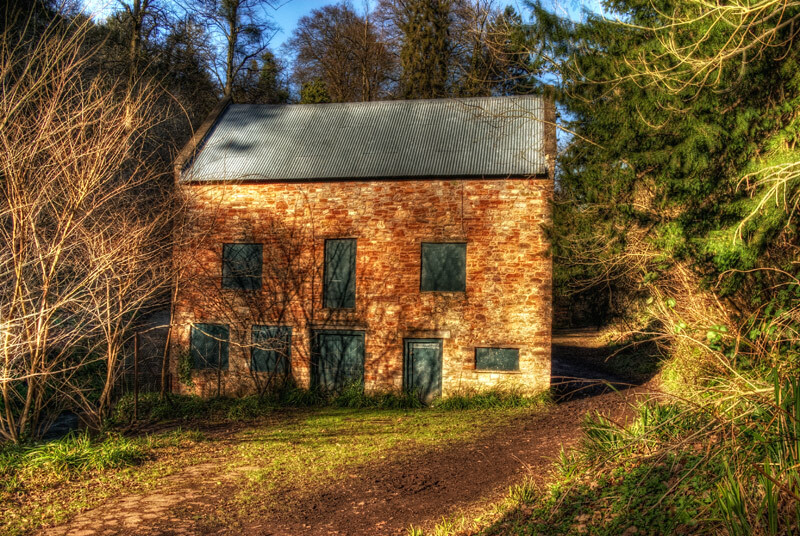 Stratford Mill was re-erected within the gorge after Chew Valley Lake was flooded to form a reservoir. Ongoing renovations started in 2004 of the mill, settling ponds and associated estate pathways. 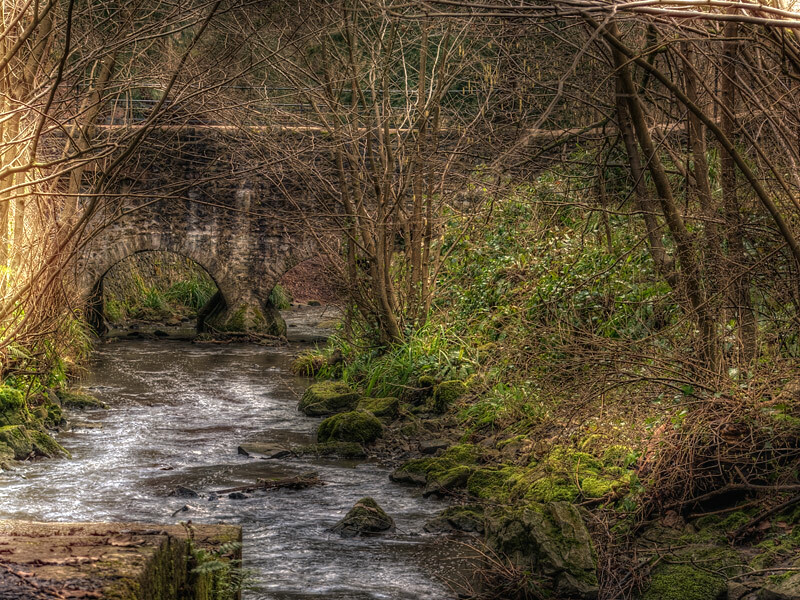 At the gorge’s southern end, Hazel Brook joins the River Trym, which continues its flow towards Sea Mills.